ACCESS NX is an IP audio codec that’s made to go anywhere. Designed from the ground up as a platform for CrossLock, our sophisticated custom reliability layer, we’ve optimized ACCESS NX to send and receive high-quality audio over even the most marginal networks. Whether you want to go live from the sidelines, do your talk show from the road, or find a codec that’s versatile enough to handle anything, ACCESS NX is designed with you in mind. ACCESS NX offers several ways to get connected. ACCESS NX comes with a Wi-Fi modem, along with an integrated Ethernet port for connecting to wired DSL or broadband cable. Plus, you can connect to 3G/4G networks using USB cellular or Comrex Connect modems. ACCESS NX also features an integrated web browser, to make it easy to log into public IP Wi-Fi. Mix and match your networks! ACCESS NX can support simultaneous connections to Wi-Fi, wired internet, or cellular modems, so you can make use of every bit of connectivity available to you. Still need to use POTS? ACCESS NX is compatible with a USB POTS/PSTN modem for use on legacy analog phone lines*. The most advanced network management tool on the market today, CrossLock gives users the ability to use multiple IP networks together simultaneously. When a new network is introduced, Crosslock will immediately evaluate how much bandwidth is available, while factoring in latency and jitter information, and combine the two connections to take advantage of all available bandwidth. More than just combining networks, CrossLock can also monitor and dynamically adjust how much of your stream is being placed on each network, in real time. When necessary, CrossLock can apply appropriate error correction, recovery, or concealment techniques. And when a network becomes unusable, CrossLock can isolate it, without any user intervention. 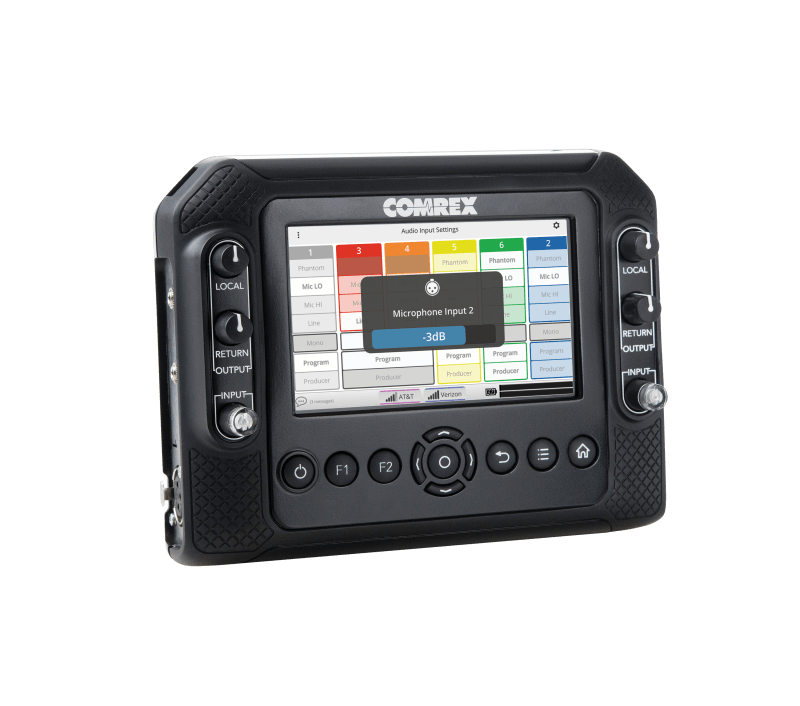 Equipped with a 5-inch capacitive touch screen, it’s simple to operate ACCESS NX in the field. Plus, with an improved user interface, ACCESS NX is designed to be even more user friendly than its predecessor. No need for a stylus! Plus, colorful LED VU meters provide a clear visual indicator of clipping. Reduce the strain on your IT department and worry less on remote day. Switchboard allows users to bypass common IP networking snags (like private LANs and firewalls) by routing data through a private server maintained by Comrex. Switchboard makes it easier to log on to unfamiliar Wi-Fi networks, like those you might encounter in hotels, schools, and wherever else you might do a remote. The use of Switchboard is included with the purchase of any ACCESS unit. 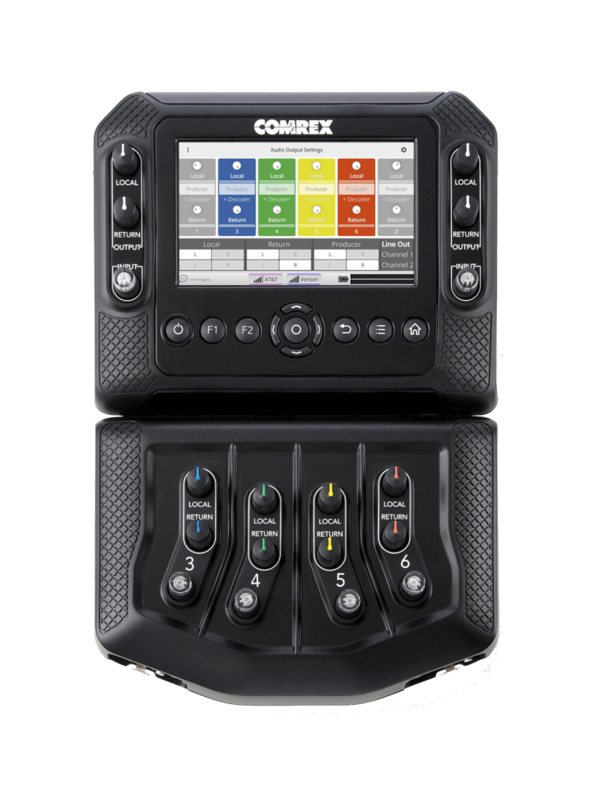 The Comrex ACCESS NX Mixer accessory “docks” to the ACCESS NX and expands the audio I/O to four mic/line selectable XLR Inputs and four stereo Headphone Outputs on 1⁄4″ jacks. All NX Portable audio connectors remain active during use of the Mixer, so the total number of Input/Headphone connector pairs increases to six. 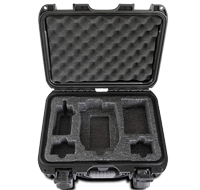 Outfitted with a high-gain antenna, the Connect Modem is more powerful than most USB data modems available on the market, to handle the heavy data load of an IP audio broadcast. 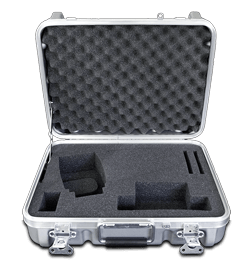 Watertight, crushproof, and dust proof to ensure the best protection for your ACCESS NX.